at the GW MFA Department of Emergency Medicine. 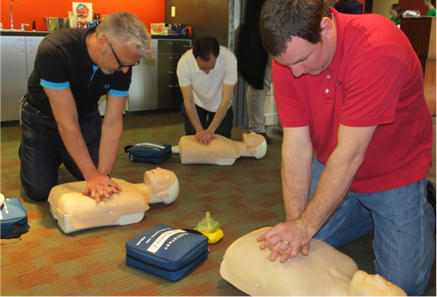 We offer American Heart Association (AHA) Courses, National Association of Emergency Medical Technicians (NAEMT) Courses as well as other CME courses for EMS Providers, Nurses, Physician Assistants and Physicians. We can also offer courses for your organization at YOUR workplace! Call us to find out more information on our contracted courses. Click on the courses links below to find out when you can learn lifesaving skills and Register Today!